I’ve slightly been obsessing over LUSH as of late. I absolutely love their lip scrub in “Mint Julip” (which smells exactly like a crispy crunch shot) and their “Eau Roma Water” (a face toner you spray before moisturizing). Tonight I tried the “Amandopondo” bubble bar and fell in looove. 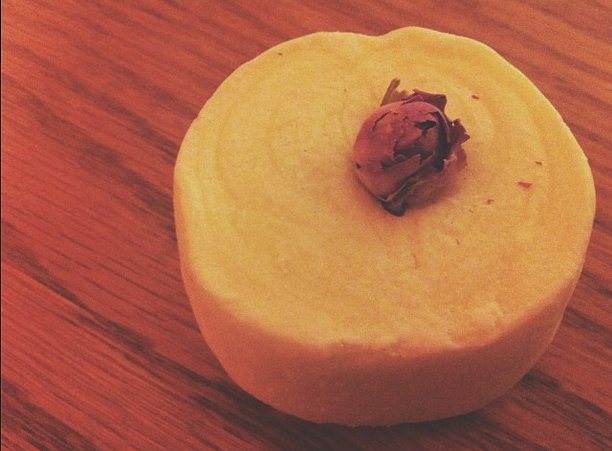 It has a rose/lemon scent (two of my favourites) and created the best smelling bath EVER! Plus it left little rose petals floating in the water. I want to go back to LUSH and fill my entire bathroom with bath bombs, melts and bars. Do you have a favourite? Let me know! I want to try them all (especially ones that turn your bath water different colours and makes it all glittery). I love Amandopondo 😀 I would try Dorothy next – one of my other favourite bubble bars. It has an AMAZING sweet floral scent, and turns the water bright blue! Done, thanks for the suggestion! Do you know a good glittery one? I reallllyyy want to try those out!